This luxury Personalised Prosecco Calendar is expertly hand foiled on the lid with your name and filled with delcious Prosecco! 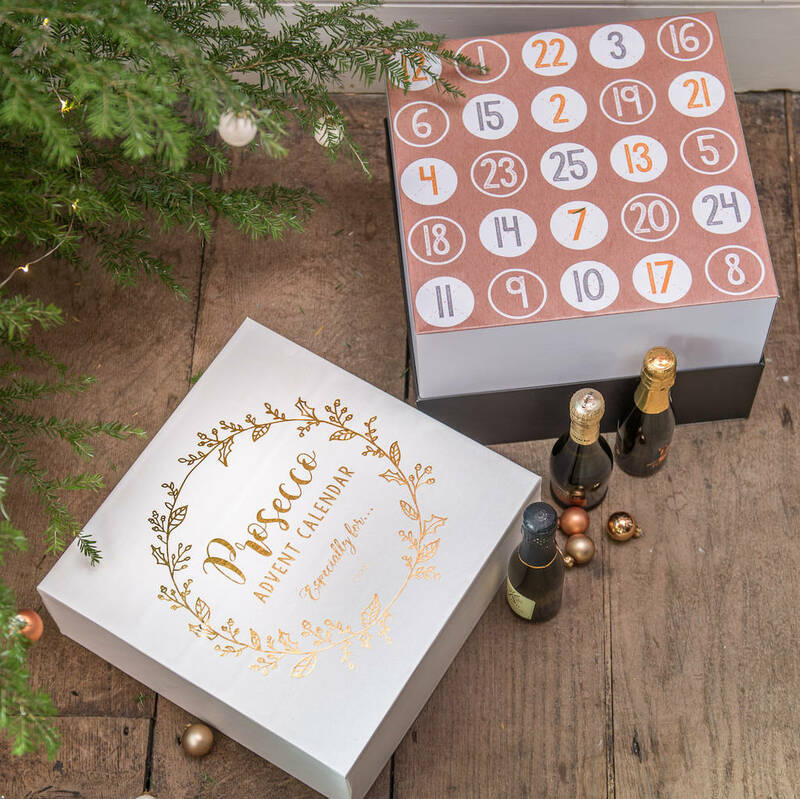 Christmas is always a great excuse to open the bubbly, and with this personalised Prosecco Advent Calendar there are now twenty-five more reasons! 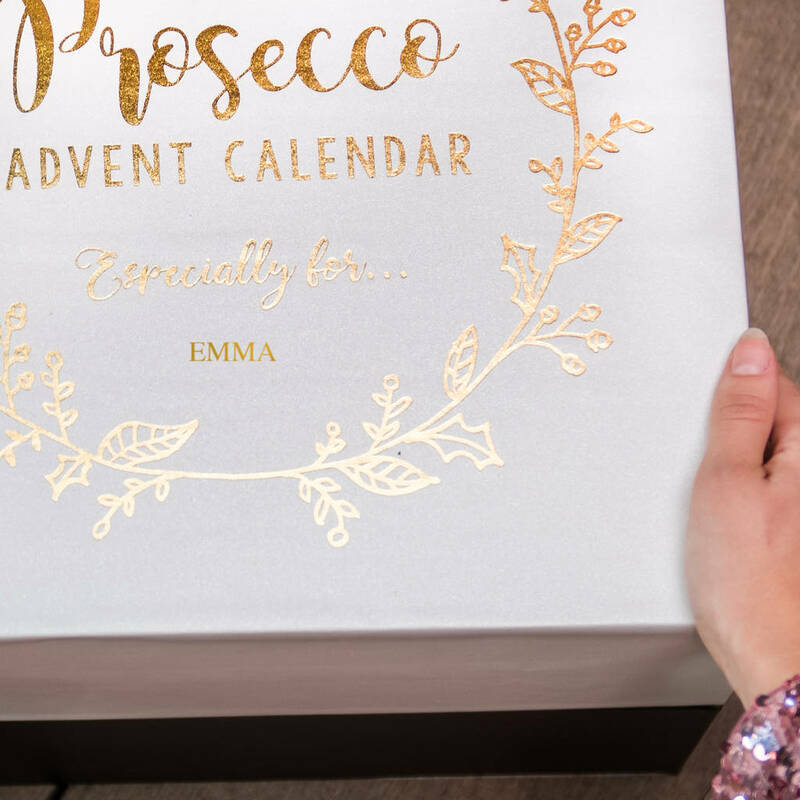 The box is personalised with the recipient’s name which is embossed in premium foil on the lid of the box. 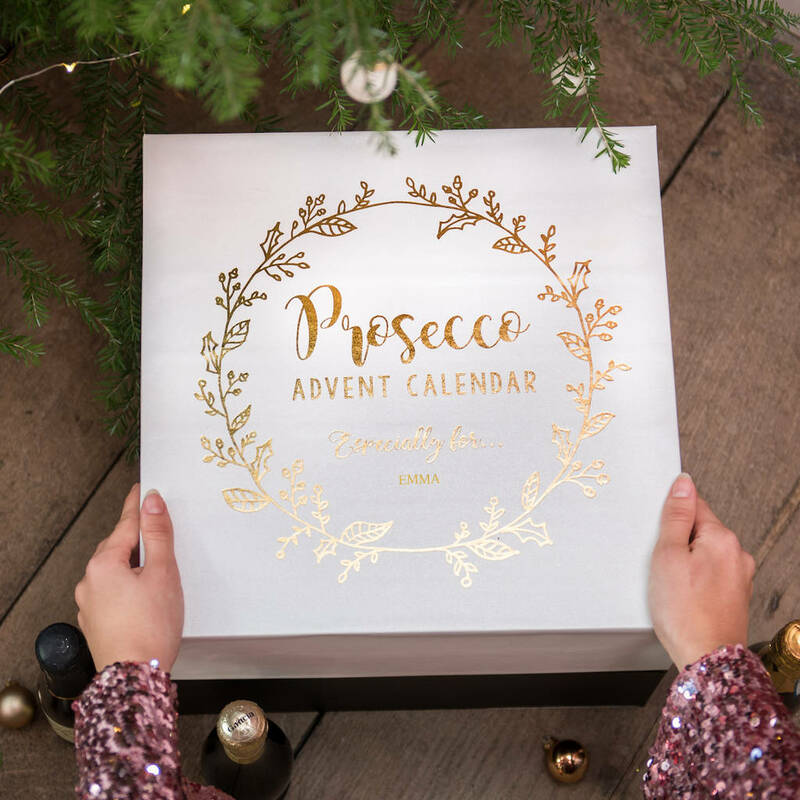 A luxury gift for someone special in your life, or even a well-deserved treat to yourself before the chaos of the festive season begins. 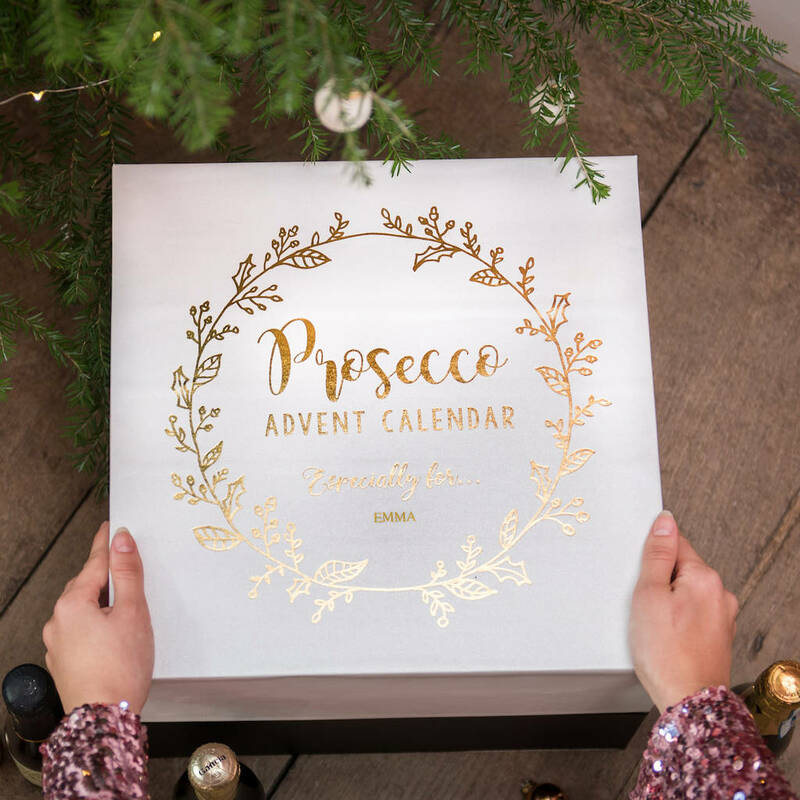 So if you want to make your Christmas go with a Prosecco-Ho - Ho - Ho this year then this is the gift for you ! 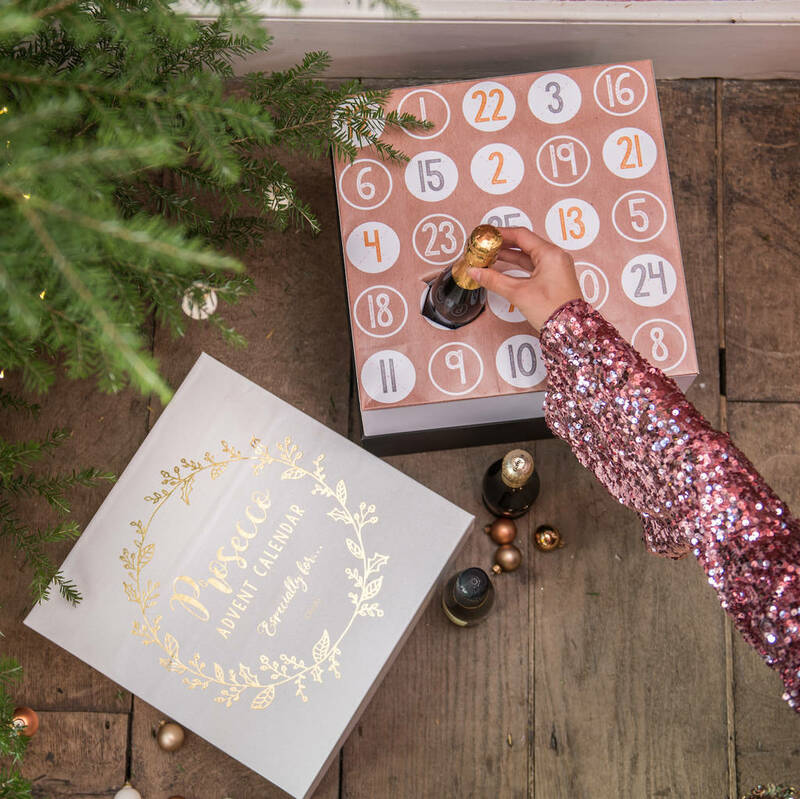 Contents: dont read if you want to keep the surprise ! Not suitable for those with intolerance to Sulphur Dioxide/Sulphites.